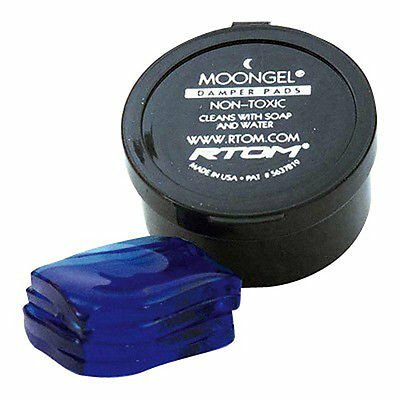 Moongel Dampening Gels control unwanted drum overtones. They stick to the surface of your drums, cymbals, and most percussion instruments. They are made from a soft non-toxic gel, come in a 4 pack plastic container, and are washable and reusable.